MIAMI - One of two teenagers wounded in a shooting Thursday night in Miami's Little Haiti neighborhood is the half-brother of former Florida State star and current NFL running back Dalvin Cook, Local 10 News has learned. The shooting occurred shortly before 9 p.m. on Northwest 56th Street near Northwest Second Avenue. 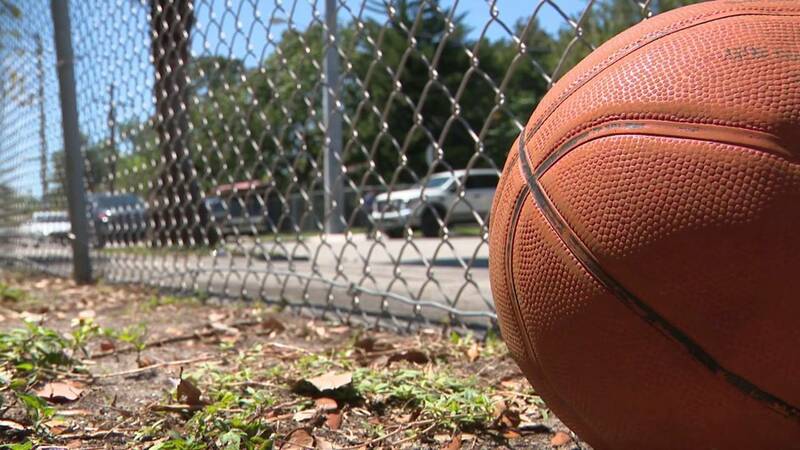 Family members identified the victims Friday as Demarcus Cook, 14, and Arquaylin Taylor, 16, who were playing basketball in a parking lot when a car pulled up and someone inside opened fire. The basketball could be seen the next day, still resting on the chainlink fence just feet from where the teens were playing. There were also large holes showing where bullets pierced the outer walls of a nearby home. Demarcus Cook and Arquaylin Taylor were playing basketball when they were shot. Family members said they don't believe the teens were the intended targets. Cook is back home after being shot once in the chest. He is the half-brother of Minnesota Vikings starting running back Dalvin Cook. Taylor, who was shot twice in the arms, remained at Jackson Memorial Hospital's Ryder Trauma Center. He underwent surgery but is stable. Anyone with information about the shooting is asked to call Miami-Dade Crime Stoppers at 305-471-TIPS.